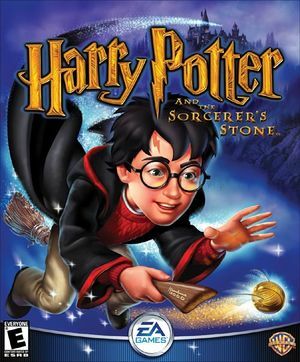 Released as Harry Potter and the Sorcerer's Stone in North America. 640x480, 800x600 and 1024x768 can be selected. See Widescreen resolution. Edit the FovAngleDegrees value in User.ini. Use -windowed command line argument or edit the StartupFullscreen value under [WinDrv.WindowsClient] in HP.ini. No frame rate cap, but very high framerates may break physics and sound in-game. 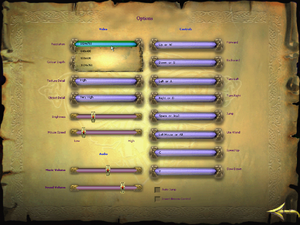 Forcing a widescreen resolution cuts off the lower part of in-game menus, making some options inaccessible. Triggers can't be mapped in XInput controllers. Lack of Deadzone in Right Thumbstick, makes camera spinning. See Camera spinning with Xbox 360 Controller. Potentially related to switching top-level windows. Restarting the game seems to fix the issue. The game requires a form of DRM, known as SafeDisc implemented in secdrv.sys. Unfortunately, it is a gaping security flaw, and evidently couldn't be fixed without being removed. Microsoft disabled it in Windows 7 and removed it in Windows 10. The following has been tested in Windows 7 to work. This effectively reopens the security hole, starts the game, and then patches the vulnerability again after 1 second. You'll likely need to run the script in Administrator mode. You can experiment with different timings if 1 second turns out to be too short on your system. Run HP.exe as administrator, or apply a cracked exe if you don't have a CD drive. If you change resolution from the game settings, dgVoodoo2 switches to windowed mode, and you have to press Alt+↵ Enter to get back to fullscreen. To avoid this, just force the resolution you want from dgVoodooSetup.exe. Keep in mind that the game does not like very high resolutions (>1080p) or widescreen. Locate [WinDrv.WindowsClient] section and change DeadZoneRUV=False to DeadZoneRUV=True. This page was last edited on 29 October 2018, at 08:58.